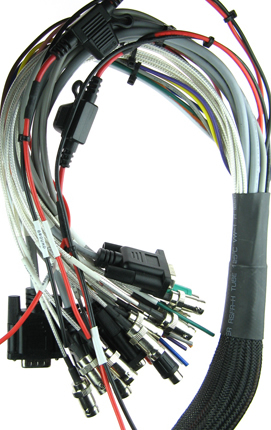 Trust our years of experience to supply all your cable harness and loom requirements. Hunter Cable Assembly have many years of manufacturing expertise in Cable Wiring, Wiring Looms, Wiring Harnesses and has all the technical knowledge and skill in place to fulfil your needs. Purpose built packaging can be provided to ensure a safe delivery of goods, with easy access for the line operators. Hunter Cable Assembly follows the IPC 620 standards for all cable manufacturing. 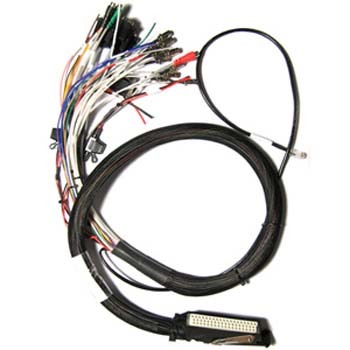 Hunter Cable Assembly can supply and manufacture Wiring Harnesses and Processed Looms to meet your requirements whatever the quantity or complexity. Using automatic wire cutting/stripping and measuring equipment along with automated test equipment ensures more cost effective production. Purpose made jigs, fixtures and panel boards are made on-site assisting build and testing throughout.